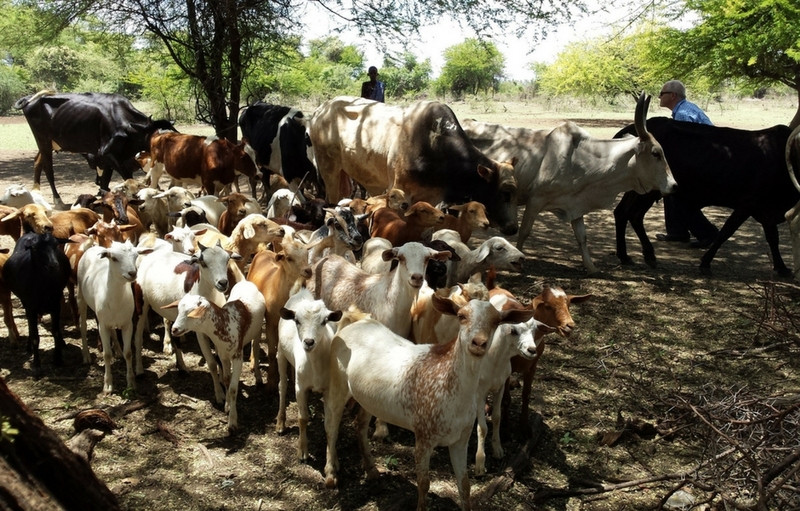 Foot and mouth disease (FMD) is the most contagious viral disease of all food animals (except poultry), and poses a substantial economic risk to the agricultural sector in the developing world. Although FMD causes fewer animal deaths than other diseases, its impact is colossal because of the large numbers of animals affected and the fact that countries endemic for FMD are not allowed to export their animal products. Estimated economic losses due to FMD are up to US$7 billion annually. Why is a new FMD vaccine necessary? The most cost-effective method for preventing and controlling FMD is vaccination. Current FMD vaccines consist of killed viruses, which present major challenges for FMD control. These challenges include poor stability, which hinders efficient production and storage; incomplete protection, which requires frequent boosters; and the inability to protect against all circulating FMD virus strains. To overcome these challenges, researchers will use an innovative modified nanoparticle approach to produce a synthetic RNA vaccine that can be assembled within a very short time and has the capacity to protect livestock against multiple FMD virus strains. The technology is based on biochemical engineering approaches that will replace the traditional use of infectious virus and culture intermediates and will thus be easier to produce, even in facilities that do not require high levels of pathogen containment. The expected outcome of this project is a synthetic RNA vaccine against FMD that is expected to be thermostable, easily deployable, and will protect against multiple strains of the FMD virus. Since FMD is widespread in Africa and Asia, this vaccine has the potential to increase economic security for smallholder farmers in these regions. This project is a collaboration between Tiba Biotechnology in the USA, the Agricultural Research Council-Ondestepoort Veterinary Institute of South Africa, and the Moredun Research Institute in Edinburgh, United Kingdom.